The approximately 100sqm apartment has 2 spacious bedrooms, atypical bathroom with whirlpool tub, living room with TV and spacious living area with dining room and kitchen. Two terraces. Outdoor area with tables and chairs and parking space. On request, Possibility to use a swimming pool in a tourist facility 100 meters from the house. 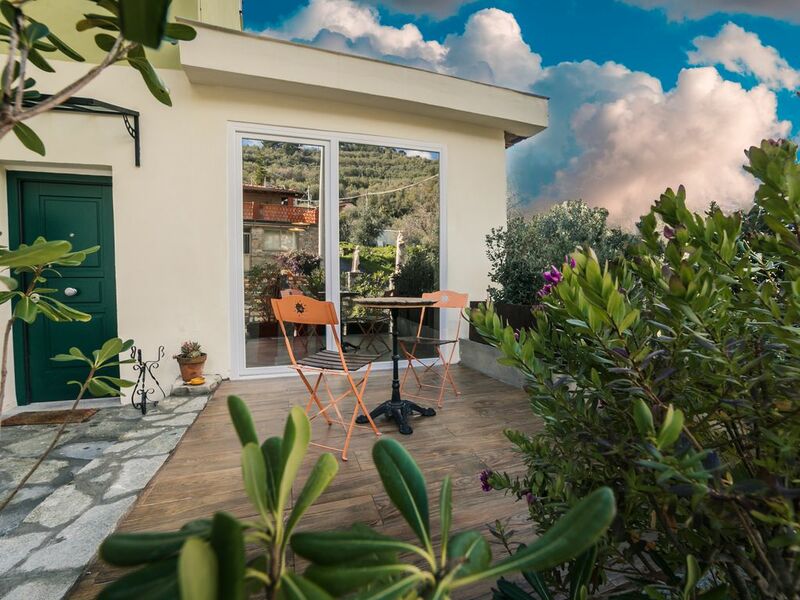 My structure is located in a typical Ligurian village just 5 minutes drive from the sea of ​​Diano Marina (IMPERIA), giving guests the opportunity to breathe the clean air of the hill and make beautiful walks among the olive trees. For those who want to completely disconnect and stay in the hills and greenery there is a bar / restaurant in the village open from breakfast to dinner. "PAOLOMARIA RESTAURANT"
An agreement with a structure 50 meters from the house offers a swimming pool with sunbeds. The town of Diano Marina, almost entirely pedestrian and recently renovated, offers visitors various tourist facilities including excellent restaurants, beaches and shops of various kinds. Zeer ruime, prettige woning. Keurig en schoon en modern ingericht. Alles is aanwezig. Vooral het ruime bad met jacuzzi is erg bevallen. Zeer vriendelijke eigenaresse.